If you are working with a real estate agent, they will contact the listing agent to begin the purchase process. If you do not have a real estate agent, you can call the listing agent noted on the listing directly. The listing agent will walk you through the purchase process and answer any of your questions, or will refer you to an agent that represents buyers. 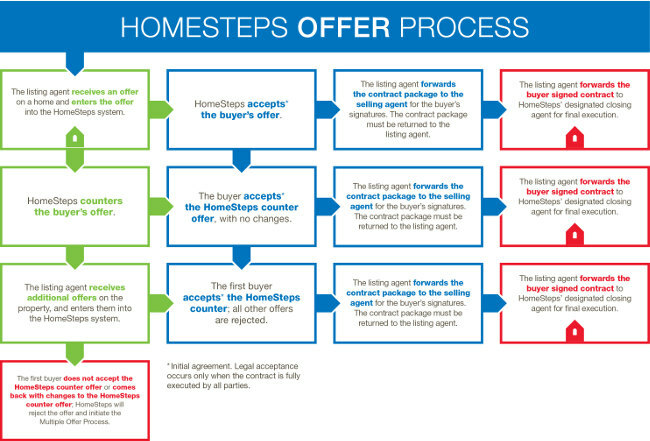 Read the most frequently asked questions about the HomeSteps Offer Process. To see a complete list of items requested by HomeSteps when submitting an offer, download the HomeSteps Offer Submission Checklist. Complete offers will be entered into HomeSteps' system by the listing agent. Once an offer is entered into the HomeSteps system, an email will automatically be sent to your real estate agent acknowledging receipt of the offer. It is important that your real estate agent provide an accurate email address to HomeSteps. The listing agent may reject an incomplete offer on behalf of HomeSteps, and it may not be entered into the HomeSteps' system or considered by HomeSteps. The listing agent will contact your real estate agent to let them know what items are needed to complete the offer. 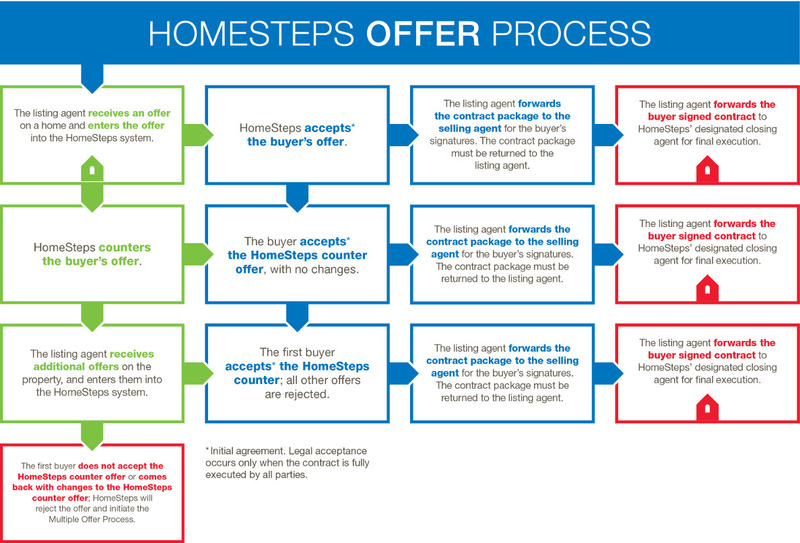 HomeSteps will initiate the Multiple Offer process when we receive more than one offer on a home at the same time. All prospective buyers who submitted a complete offer will be asked to submit their highest and best offer by a specific date and time that is provided to their real estate agent. They will be asked to sign the Multiple Offer Procedure form to return with their highest and best offer. Once this specific date and time has expired, all offers will be evaluated. The best offer will either be countered or accepted* by HomeSteps.